STALKING JACK THE RIPPER and HUNTING PRINCE DRACULA B&N #BookHaul sale! hello, friends! i found out today that both the STALKING JACK THE RIPPER and HUNTING PRINCE DRACULA paperbacks are part of Barnes & Noble’s 50% off Book Haul! the sale starts now and is running through the weekend, or while supplies last. if you’ve been wanting to snag a copy of HPD with the bonus content, now is the perfect time since it’s just $5! HUNTING PRINCE DRACULA eBook is $2.99 on Amazon TODAY!!! how about an after Christmas surprise??? the HUNTING PRINCE DRACULA ebook is $2.99 on Amazon TODAY! this version has the bonus letters between Thomas and Daciana about his growing feelings for Audrey Rose, so if you haven’t read those yet and want to, or if you like collecting different formats of books, this is the perfect time! ESCAPING FROM HOUDINI is a NYT and USA Today bestseller!!! OMGGGGG!!! ESCAPING FROM HOUDINI just landed on the NYT!!! 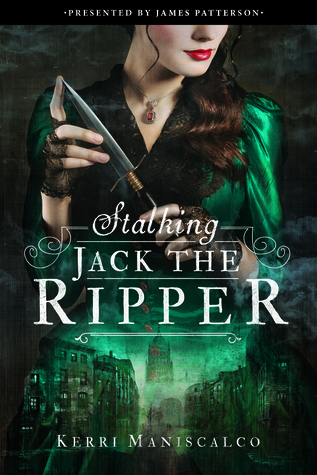 which means STALKING JACK THE RIPPER is now a NYT bestselling SERIES!!! holy wow…it’s so hard to hit the series list and i am sitting here, tears streaming, absolutely STUNNED. as i was typing this up, my editor excitedly shared even MORE incredible news: EFH is also a USA Today bestseller!! i cannot stop crying the happiest tears of joy. thank you, readers. thank you for rallying behind me when my Lyme was the worst, for cheering me on throughout this journey, and for telling all of your friends about this series.